K: You’ve got to wear a dress. M: OK, I’ve got the one from last year. K: You can’t wear the same dress. M: OK. I’ll wear a pink hat with it. 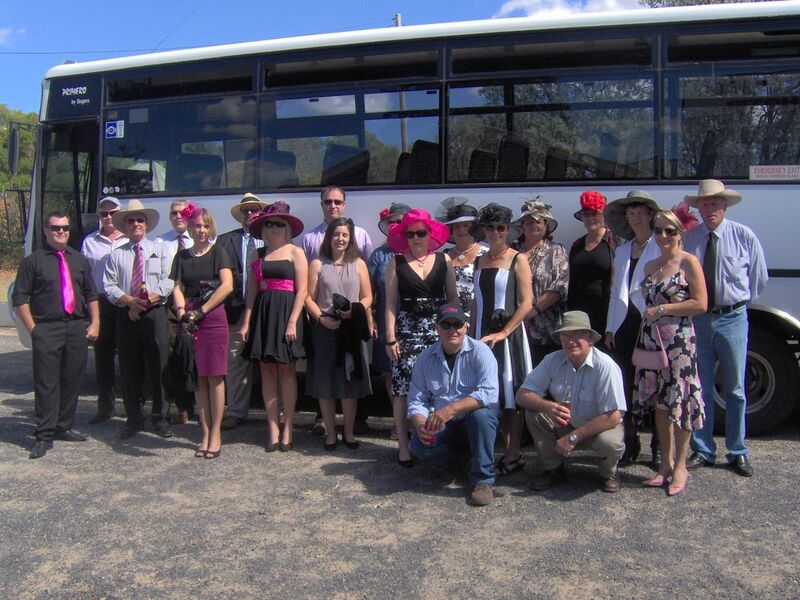 So on race day the faithful gathered outside the Wallaroo to await our 50-seat limo (AKA the school bus). I turned up in my black and white dress with a borrowed pink hat, and Kerry, resplendent in co-ordinated navy and red, rolled her eyes at me. She was more impressed with Brian – he had forgone thongs for shoes. Once at the racetrack the Coolatai Mob took up their positions. Kerry and Sally headed for the tent and set-up base camp. This acted as a staging point for the rest of us who checked in throughout the day – usually when we had lost someone in the crowd. Graham, Carole and Slim marked out territory by the only interstate bookmaker and this position became as solid as base-camp, and usually better manned. Some of the blokes cleared a path to the bar and the rest of us flitted between the parade ring and the two Coolatai strongholds. I was often found by the stables annoying any strapper or trainer who showed the slightest inclination of talking to the public. The first race of the day was nearly a disaster. 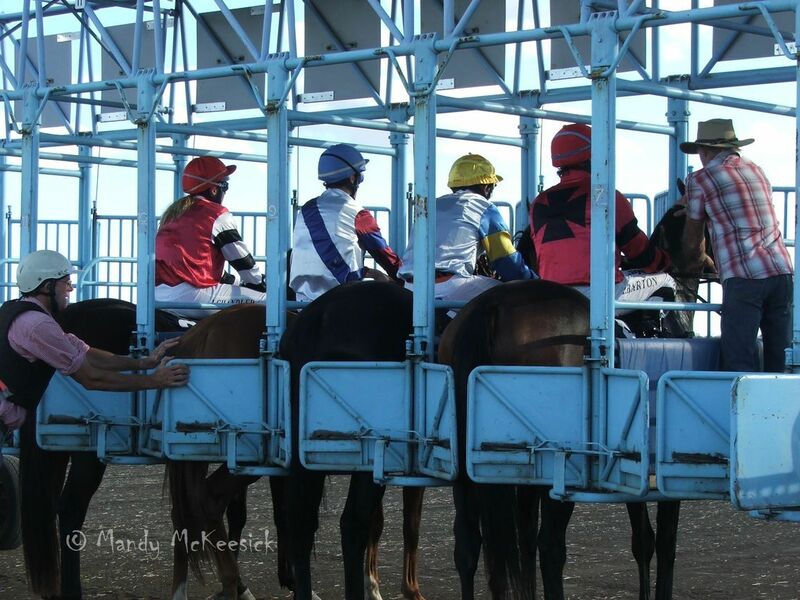 Two horses were in the barrier stalls at the start when one reared and managed to turn the whole barriers. Both horses panicked, tossed their riders and bolted. One went clockwise with my betting slip riding on it and the other went anti-clockwise with Jen’s betting slip. Thankfully no horses or humans were injured. It was on return from one of my forays to the stables that an older gent stopped to tell me the bow on the back of my dress was undone. I asked him if he would mind re-tying it and while he was fiddling with a slippery satin ribbon I noted he had dropped a rather official looking clipboard. “What do you do here?” I asked. “I’m the starter” he replied – and that was the end of him (see How a Slippery Ribbon Led to a Good Weekend). I plied him with questions, with a no-doubt fevered look in my eye, and before I knew it I had an invitation to join him at the starting barriers. While the donkeys paraded before the public I stood beside the steward’s car on the inner track. 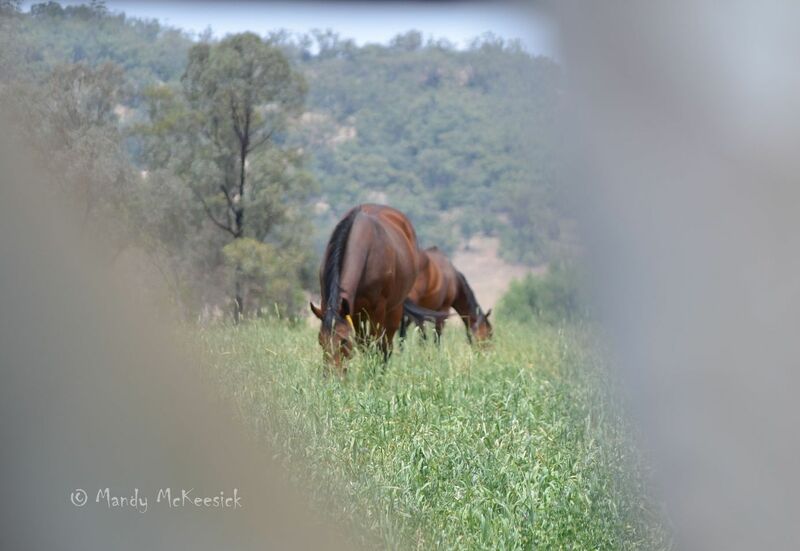 The eagle-eyed Coolatai Mob said to Brian “What is Mandy doing out there?” Unperturbed, and knowing my racing passion, he merely replied “Oh she’s probably just annoying the vet”. Seeing the races from an insider’s view was a real buzz. Away from the public circus the first thing I noticed was the quiet; broken only by the banter between Malcolm, the starter, and the jockeys. 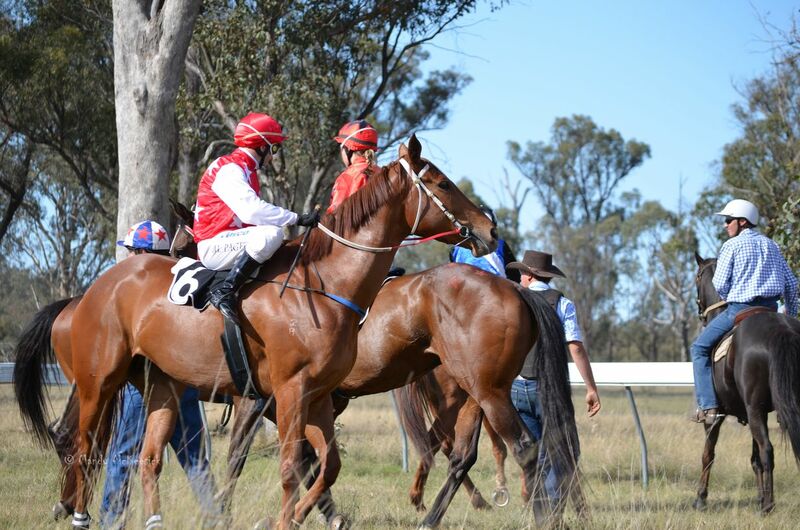 Malcolm and his team of five stewards cover all the races in north-west NSW and see these young jockeys several times a week. With little fuss the horses were loaded but not before Malcolm growled at the barrier attendants “Make sure those bloody wheels are chocked. I don’t want to be chasing horses up the straight again”. Back at the stronghold by the interstate bookie the Coolatai Mob were keen for answers. Di told me to get Malcolm’s phone number and do a story. Great idea – so back I went to the calls of “undo your zipper this time”. The zipper and slippery ribbon stayed in place but I do have a date to spend a day with the stewards at the picnic races in the next few months. Later in the day Jen and I were discussing tactics by a hay bale when we were approached by several blokes with a big camera. For a split second I thought “Fashions on the Field” followed the next second by “you’ve got to be kidding”. We were relieved (well I was) to find they were only from the local politician’s office and could they take our photo for his press campaign? There was no sign of the politician – maybe they photoshop him in later. 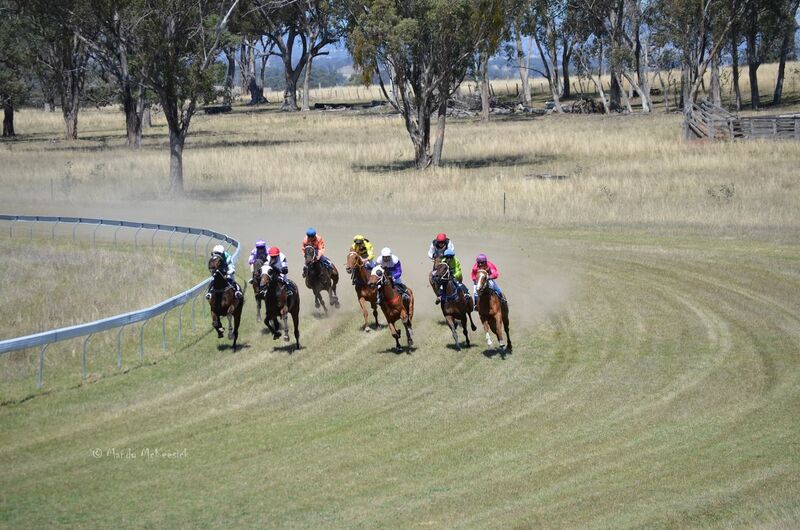 Not five minutes after that Brian had joined us at the hay bale and we were quietly sipping our beer when I felt a discreet tap at my elbow and a ticket was placed into my hand: “Finalist in the Classic Division – Fashions on the Field”. You’ve got to be kidding. In place of “classic” read old. It had taken me 44 years to do it but apparently I was now fashionable. Brian held my beer and complete with grubby feet (it was quite dusty by the barriers) and a sock tan I lined up against Kerry in the final with a big grin on my face. Thank goodness I didn’t win – Kerry would have had a heart attack. As the afternoon progressed my fashion digressed. I kept slipping out of my heeled sandals and getting prickles in my toes, I dropped my cashmere cardigan on the ground and it came up looking as though I had been rolling around on the hay bale, and to top everything off, at the end of the day, I sat on an old wooden chair at base-camp and lodged a thousand splinters in black and white satin. With only one race left on the card the Coolatai Mob had a premonition. A nominated representative did the lap between base-camp, the interstate bookie and the bar and fleeced $5 from everyone. This was put on a horse and the winnings were to be put on the bar back at the Wallaroo. The horse was called Half Sober. It came last. The best thing about the 50-seat limo is that there is no time for dawdling once the races are over. The Coolatai Mob were rounded up and transported to the Wallaroo where a hot meal and a pool competition were waiting. Kerry had the last word. She had changed into jeans while I was still in a dress and, by this time, in bare-feet. She just smiled and gave me a whipping in pool. 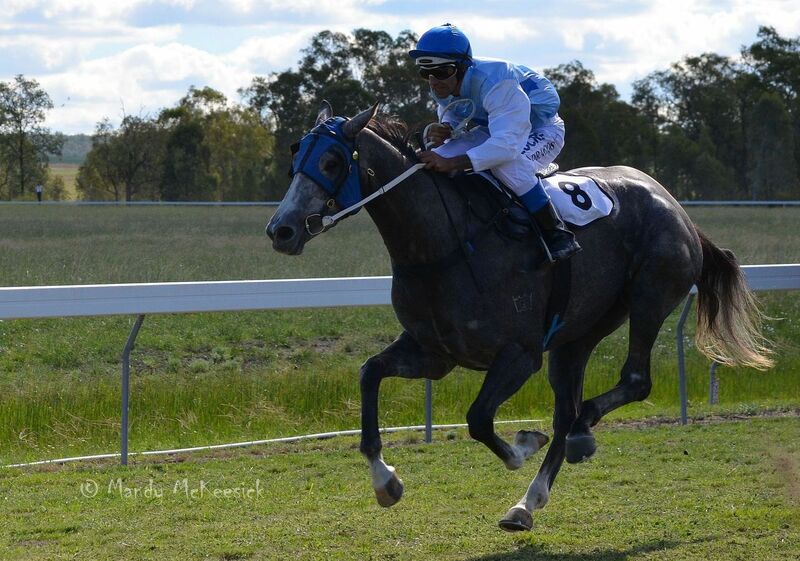 This entry was posted in Equines, They're a Weird Mob and tagged Bart Cummings, Coolatai, Country Racing, warialda, Warialda Races. Bookmark the permalink. 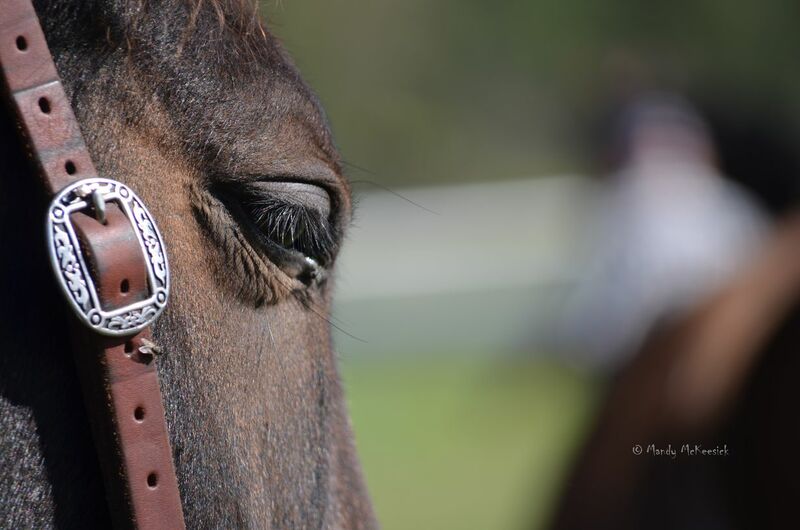 I have a passion for the thoroughbred. Apparently it’s hereditary. My grandfather used to follow the races, although the affliction skipped a generation when it came to my father – he hated “nags”. My great-uncle Oliver, a country doctor, rescued a thoroughbred off the race track and fixed his leg and gave him a career change. Old Major pulled a plow until he was 20 on my great-grandfather’s farm.